At Marquez Iron Works, we specialize in custom-designing and installing iron fences, gates, railings, window bars, security screens, entry doors, structural steel, and custom metal work: all precision-crafted to the exact specifications of the Laguna Niguel homeowners, business owners, and building contractors we serve. Our skilled iron work craftsmen are among the best in the industry, and follow the highest standards of professionalism in all that they do. Since 2001, we have prided ourselves on offering superior quality ironwork products to our Laguna Niguel clients at very competitive prices. We stand behind our iron work with a two year warranty on materials, and a three year warranty on workmanship, and build our ironwork to last for decades to come. 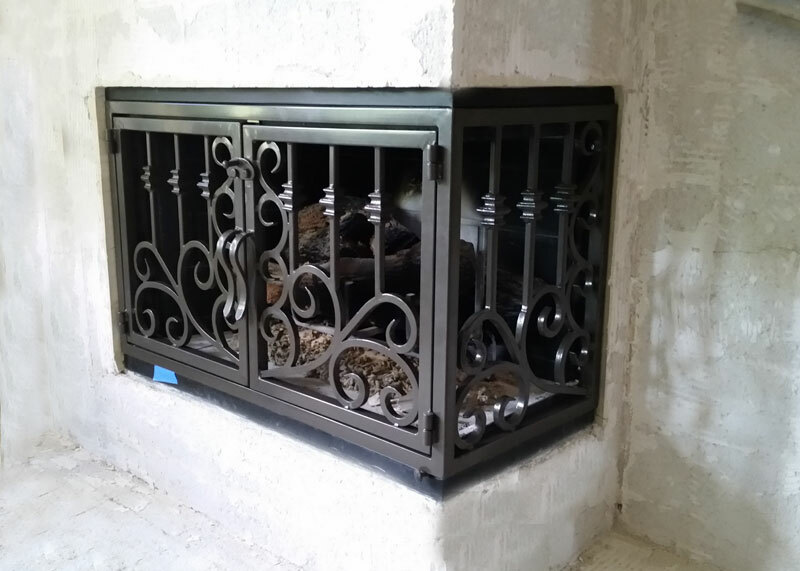 Our ironwork is available in a choice of metal types and powder coat finishes, including our standard black and bronze, as well as an extensive array of customized colors. In addition, our iron work can also be galvanized or metalized, for maximum durability. Choose Marquez Iron Works for beautifully crafted, precision-installed ironwork that will add beauty, functionality, and value to your Laguna Niguel business or home. Call us today. We offer free design consultations and estimates to all of Orange County. Marquez Iron Works is licensed, bonded, and fully insured. Trust Marquez Iron Works to design, craft, and install the ideal iron fencing system for your Laguna Niguel residential or commercial property. At Marquez Iron Works, we can design and install iron fences of all types, including property fences, perimeter fences, and security fencing systems complete with the latest in access control technology. In addition, we can also install pool enclosures and also ironwork toppers for existing brick and block masonry walls. Iron toppers are useful for extending the height of existing masonry walls, as well as for adding an attractive design element to your hardscape. Rely upon the design experts at Marquez Iron Works for a new iron fence that will provide a stunning complement to your Laguna Niguel home or business's architectural design. But at Marquez Iron Works, our fences are not only well-designed, but are also well-built to last for years to come. They come in a choice of iron types, and can also be galvanized, for maximum durability. Hot-dip galvanizing is the process of applying a zinc coating to fabricated iron or steel by completely immersing it in a bath consisting primarily of molten zinc. 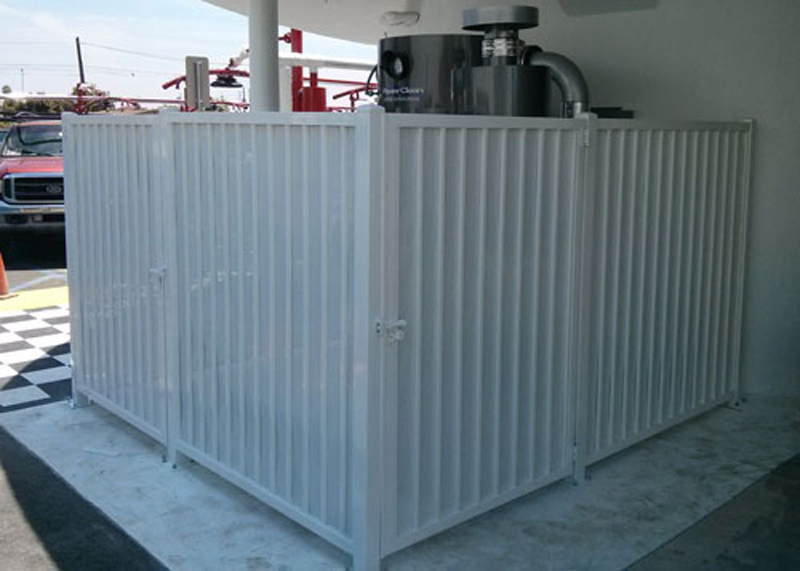 It is an inherently simple process, but highly effective against the formation of rust and corrosion. The hot-dip galvanizing process coats all components of the fence both inside and out, for maximum protection. This thorough zinc coating seals the underlying iron or steel from contact with its environment. And by protecting the metal against corrosion and its costly effects, extends the life of the ornamental iron products to which it is applied. Call Marquez Iron Works today, for durable iron work in Laguna Niguel. At Marquez Iron Works, providing excellent customer service is extremely important to us, and our experienced iron work professionals will work closely with you to design the perfect iron fencing system, railing, gate, front entry door, security screen door, or window bars for your Laguna Niguel business needs. At Marquez Iron Works, we are experts at designing iron work which provides safety and security. We can craft and install beautiful, functional interior and exterior railings for stairs and balconies, and also guardrails and handrails which comply with all current safety codes. In addition, we can install security fences, security entry gates, driveway access gates, security screen doors, and security window bars that will enhance your business's exterior while also providing needed protection against intruders. In addition, our motorized driveway access gates are both stylish, and are available with all of the most innovative access control technology, including telephone entry systems, keypad systems, card readers, key fob systems, transponder systems, exit loop systems, safety loop systems, shadow loop systems, and entry and exit sensor systems. Call Marquez Iron Works today for beautiful iron work that will add understated elegance, security, and value to your Laguna Niguel commercial property. Marquez Iron Works is licensed, bonded, and insured. 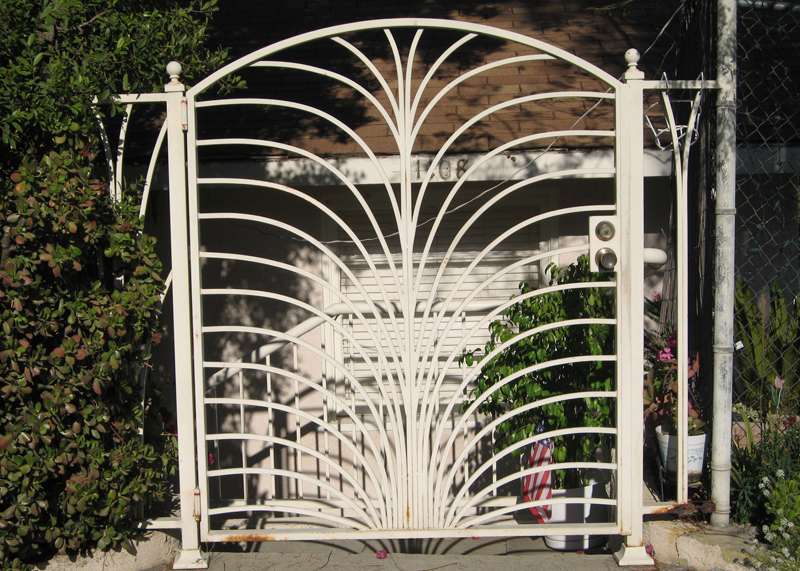 Whether you need a small entry gate for your home or business, or a driveway access gate for a residential community or commercial property, the iron work professionals at Marquez iron works can custom-design and install the perfect iron gate for your Laguna Niguel residential or commercial property. Both our entry and access gates are available in traditional as well as contemporary styles, custom-designed to the specifications of our clients, and can all be equipped with the most up-to-date access control technology. Our access gates are offered in sliding, swing, and double swing designs. In addition, we also offer a repair service on existing access gates. 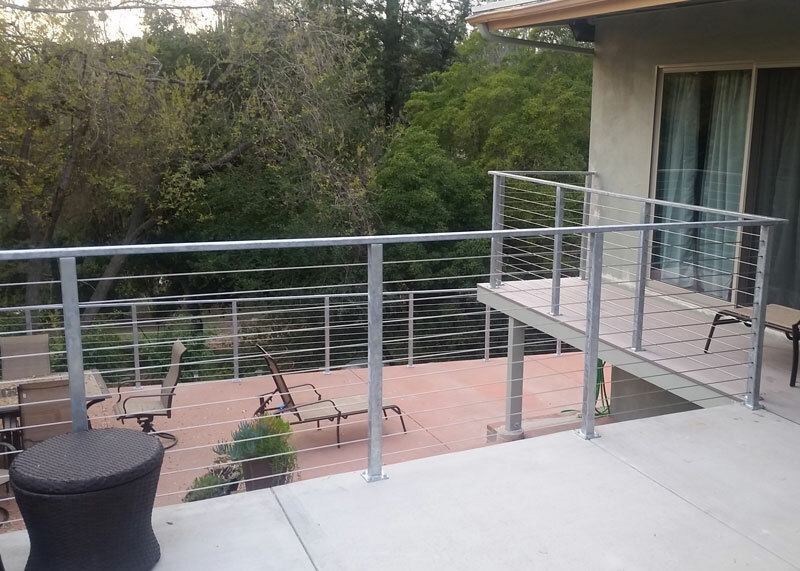 Since 2001, Marquez has provided a selection of many types of iron railing to Laguna Niguel homes and businesses, including balcony and staircase railing, as well as guard rails, in both functional and decorative styles. All of our railing is carefully constructed and expertly installed in strict compliance with all relevant building codes and homeowners association CC&R requirements, and is offered in a choice of iron types, including galvanized and metalized iron. In addition, we also offer glass railing and cable railing. And offers this proven effective, high quality security iron work at surprisingly affordable prices. Considering installing security iron work to protect your Laguna Niguel home or business? Call Marquez Iron Works today to schedule a free onsite estimate. 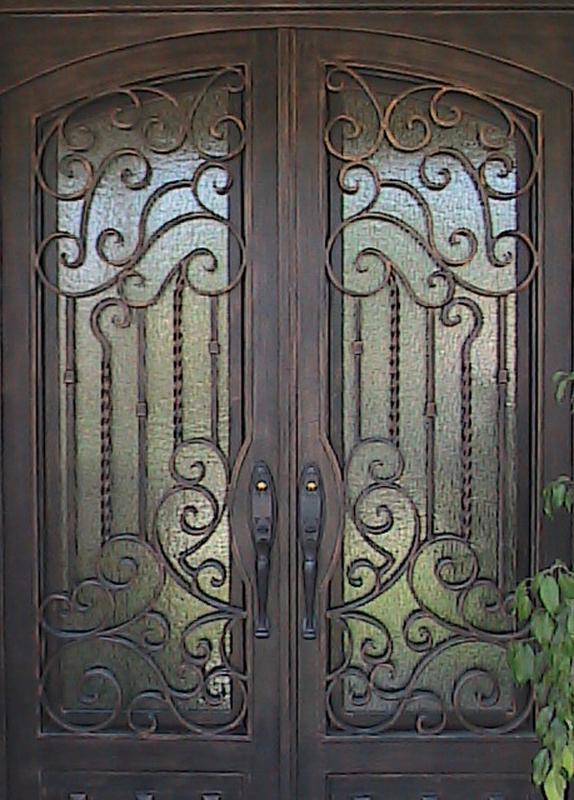 Rely upon the ironwork artisans at Marquez Iron Works for beautiful iron front entry doors, courtyard doors, and wine cellar doors that will add a touch of Old World elegance to your Laguna Niguel home or business property. At Marquez Iron Works, we offer our ornamental iron doors in arched or rectangular styles, and can usually complete a door installation in just two weeks from design to installation. In addition, at Marquez Iron Works, providing excellent customer service is extremely important to us, and our owner, Jose Marquez, and his brother, David, personally supervise each and every one of our entry door installation projects from inception through completion, to ensure complete customer satisfaction. Call us today. At Marquez Iron Works, we are a full service ornamental metal contractor, and have a complete ornamental metal shop, where we can manufacture structural steel and moment frames for new construction; design and craft such functional architectural features as metal staircases, pit and roof access ladders, metal bridges, and gazebos; and also create decorative items such as metal wall sconces, wrought iron furniture, and picture frames. Our experienced, iron work professionals observe the highest standards of professionalism in all that they do, and can assemble much of our custom metal work onsite at our clients' homes or businesses. Call us today with any and all design ideas you may have for custom metal work at your Laguna Niguel home or business. Marquez Iron Works is licensed, bonded, and insured. At Marquez Iron Works, we can fabricate and install steel columns, moment frames, steel landings, and steel staircases for Laguna Niguel new construction and remodelling projects, and offer very competitive bids on our work. Call us today for an estimate on your project. Choose Marquez Iron Work for beautifully crafted, precision-installed ironwork that will add style, functionality, and value to your Laguna Niguel business or home. Call us today for a free design onsite design consultation and estimate. We service all of Orange County. Marquez Iron Works holds a C-23 Ornamental Metal Contractor's license, and is bonded and insured.